Reducing collet. 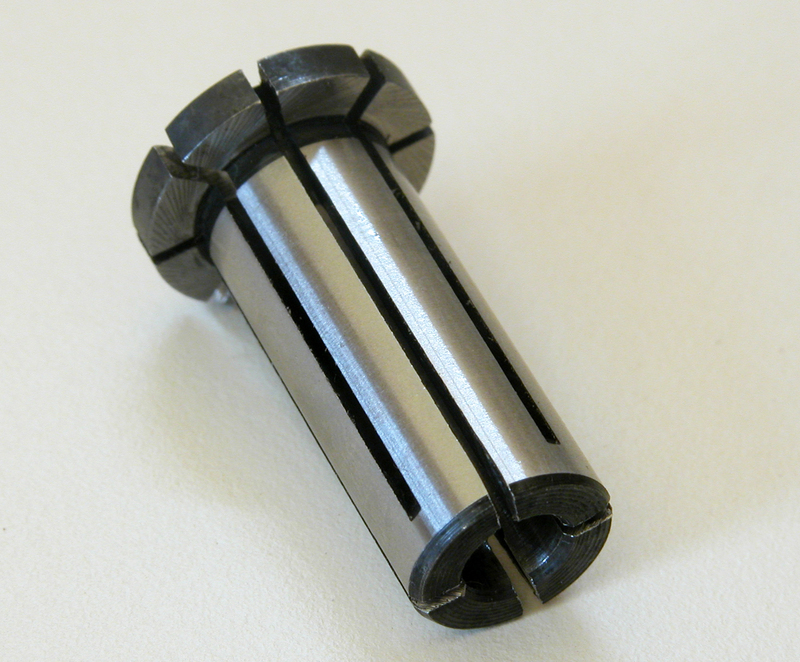 The most effective reducing collet on the market. Buy one! Purchase a Gifkins reducing collet to adapt your router from ½” drive to ¼” drive. The reducing collet is a handy piece of box making equipment. It will help you get the most out of your template and box making cutters. Template cutters have ¼” shafts [H10, B10, F5 and F15]. The exception is the B10 template cutters which have ½” shafts. Our box making cutters have ½” shafts. The exception is the spiral cutter [TRSW5] which has ¼” drive. a flange around the top of the collet. The flange ensures that [a] the collet won’t drop down inside the router chuck, making it easier to remove it from the router, and [b] that the cutter is held at the optimum height.